The Wisconsin Badgers are headed to the Big Ten Championship game at Lucas Oil Stadium. Bucky will take on Nebraska this Saturday. Kickoff is set for 8:17pm local time. After a season where Wisconsin lost a few heart breakers, they are still on their way to see who is the top team in the Big Ten. Newcomers Nebraska will try their best to take down our Badgers. Which bowl will Wisconsin be invited to? Winning the Big Ten Championship will certainly prompt the powers that be to give Wisconsin a better bowl bid. Wisconsin lost to Nebraska on September 29, on the road, at Lincoln. 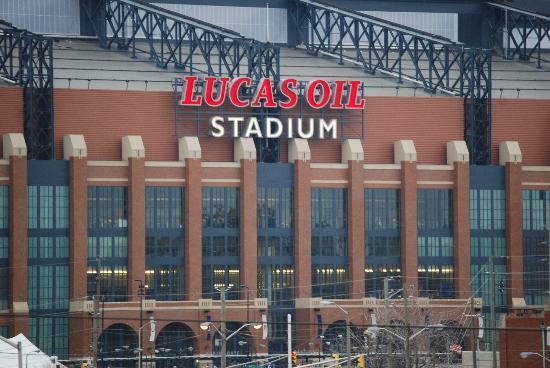 Lucas Oil Stadium would be neutral territory for both, but just a six hour drive for Badgers fans. Our guess is that Bucky fans will be there in the thousands. See you there football fans!